In this episode of MarketFoolery, two Fools chat about a few of the juiciest market news drops of the day. Spotify (NYSE:SPOT) is suing Apple (NASDAQ:AAPL) over some rough App Store policies. They’re doing it in the EU, of course, because they’re based there, and also probably because it’ll go farther there than it would here. That might not be such a bad thing for businesses not named Apple. On the subject of big government vs. big business, Capitol Hill certainly has opinions on big tech these days, and some of those make more sense than others. Plus, the guys dip into the Fool mailbag to offer up some advice on investing in e-sports and the future of video games. Chris Hill: It’s Wednesday, March 13th. Welcome to MarketFoolery! I’m Chris Hill. Joining me in studio today, Aaron Bush in the house. Thanks for being here! Hill: We’re going to dip into the Fool mailbag. We will get to Spotify’s battle with Apple. I want to start really quick, though, with Aurora Cannabis (NYSE:ACB). Shares of Aurora Cannabis up 10% this morning because the company has named Nelson Peltz to be a strategic advisor. For those unfamiliar, Peltz, longtime activist investor, a lot of experience in the consumer goods space. He’s on the board of directors at Procter & Gamble, Mondelez, Wendy’s. Bush: I think for Aurora, it’s better for them to have Nelson Peltz than not have him, but I’m not sure how big of a deal it is for them. They’re a medical cannabis seller. They have lots of different partners. Even though they don’t have that much sales, they already have the makings of what a large conglomerate would look like. It makes sense why he’s coming in. But I do feel like people are overplaying this. It’s really just the mix of cannabis and Peltz that’s causing noise. I mean, just coming on as a strategic advisor isn’t that big of a deal. I think he has some options. But if he really believed in the upside for the stock right now — it’s a $10 billion valuation turning at about 100 times sales — I think he would just be buying the stock instead of just options. I think that says something about Aurora. But yeah, on the activist front, that’s an interesting question. I definitely do think that activists play a role in helping more legacy companies improve their efficiency. You see that a lot with conglomerates. Interestingly enough, I don’t actually pay that much attention to activists or care all that much because I spend most of my time looking at internet businesses, and those tend to lend themselves less to what would make an activist get involved. Something like eBay is the obvious counterexample because they turned into a conglomerate of all sorts of different things. So in some ways, it really wasn’t that different from a large consumer-facing conglomerate of goods. But I think, when it comes to software, when it comes to marketplaces, there isn’t that much that an activist can do. I don’t think activists will play as much of a role in internet companies as they have in the physical-world-based companies. Hill: So you haven’t been in a situation where you’re looking at the companies in your portfolio, and a news item pops up that activist investor Joe Smith or Jane Smith has suddenly taken an 8% stake, you haven’t been in that situation yet? Bush: I think it has happened. When it happens to one of the companies that I own, I am definitely interested. [laughs] If Carl Icahn comes storming and trying to stir some noise, of course it’s worth looking at. You mentioned this before taping, but John Malone, he’s not really an activist by a traditional sense, he’s just an epic dealmaker whenever he makes moves. He’s covered a lot of the entertainment spectrum over the years. Yeah, it’s worth paying attention to what he’s doing and watching because it probably points toward where the future of entertainment is going. I do think it’s worth looking at, but I don’t really think about it until it pops up in my portfolio. Hill: Let’s move on to Spotify. The company filed a complaint against Apple with the European Commission’s antitrust regulators, claiming that Apple Music has an unfair advantage over rivals. CEO Daniel Ek published a blog post today saying that Apple’s control of its App Store deprives consumers of choices and puts unfair restrictions and fees on competitors. Before we get to your thoughts, I’ll just say that I’m surprised by this story. I’m surprised that Daniel Ek feels the way he does. [laughs] I haven’t seen a response from Apple yet, but I’m sure their lawyers are working on one. Bush: I think he’s right for the most part. I do think that Apple should be able to have its own music app, and in some ways, just because it owns the entire ecosystem, that app is at an advantage. And in some ways, that is OK because it’s like any other like private-labeled good. It’s a private-labeled app. But when it comes to restricting what other apps can do and really prioritizing your own app over others — and part of the antitrust issue with Apple, and this applies not just to Apple, but we could go through all of these different tech companies and talk about their antitrust issues. But for Apple in particular, yeah, I do think that we will see antitrust issues emerge with the App Store because they take a 30% cut of every single transaction. I don’t think they probably should take a cut of every single thing that happens. But furthermore, when they start imposing rules that stop companies from linking to outside websites, where they can then do payments there, once Apple starts imposing rules that limit what those companies are doing outside of its ecosystem, that is like the purest sign of a monopoly, and that is something where I think regulators should get involved. And I do think that that affects Spotify to some degree, but it’s not just them. Hill: Spotify filed in the EU because that’s where the company is based. It also happens to be the same place where, was it last year, was it a $5 billion penalty against Alphabet? Bush: Yep. If you’re going to do it anywhere, it’s probably a good place to start. Hill: It is. It also helps in the case that that’s where Spotify’s based. They’re covered from that standpoint. Let’s go through a couple of the others. Our proximity here at Fool global headquarters to Capitol Hill is such that, maybe more so than other parts of the country, we’re aware of the noise from Capitol Hill, and the noise lately with respect to big tech from both sides of the aisle is they say big tech is too big. Bush: Yeah. I don’t want to get political. I don’t even think this has to get political. I think I applaud that there are politicians who are willing to bring this up and have the hard conversations of, What does a modern internet-based monopoly look like? Because it is very different from the monopolies of old. But I do think that they are missing the point in a couple of key ways. I can talk about a couple of the other companies. One way they’re missing the point is overgeneralizing tech. Tech is not an industry. All of these different large companies, they compete with each other in some ways, but fundamentally, they’re very different businesses. Amazon is a retailer. Apple sells phones and tablets. Alphabet is search, Facebook is social media. These companies are all different and they shouldn’t be thought of in the same exact way. Second, yeah, the monopolies of today are different than they have been in the past. Standard Oil was a supply-side monopoly. They owned all the supply and consumers had no choice but to go with them. That is bad for consumers. Today, the reason why Google, the reason why Amazon, Facebook, they’re so popular is because they use technology to create the best solution for consumers, and consumers chose them. People can still go to Bing. People can still go to Walmart and deal with e-commerce. No one is stopping them. I think it has to be less about the fact that they have so much market share, and it has to be more about looking at the particular actions that they take and deciding whether or not it’s best for consumers or otherwise. Bush: What would the business of search be if you were to strip the ad business away from it? Would it just be going back to the same banner ads of 20 years ago? This business model is what is best for consumers. I think, however, you can dig into the nuance and look at things like when Google places their own results to their own sites above others. In some ways you could say that’s actually better for the consumer because they know exactly what to give them and they own what they can give them. But is that anticompetitive? I think the answer is yes. The EU has determined that it is that way. But I think there are a lot of individual cases that need to be worked through. We talked about Apple. Amazon, I was surprised, the proposal wasn’t to split off AWS, it was to split off the Marketplace business from the core retail business. The Marketplace business is third-party sellers vs. the first-party sellers. Again, that doesn’t make sense. Half of what Amazon sells is first-party stuff. They buy it wholesale from the suppliers and sell to consumers. The only reason why the third-party suppliers are there in the first place is because Amazon’s done such a good job bringing all of these consumers here. I don’t think that should be split up. But the issue though — they actually just changed, but I think there are other things that probably need to change too — is that Amazon essentially forced their suppliers who sold on Amazon, they did not allow them to sell their goods on other websites at lower prices. As soon as you start enforcing what people that work on your site can do elsewhere, that’s a problem. I don’t think the solution for all of this is big spinoffs or anything like that. It’s really just looking at the nuance and determining, on the deal-making, the contracts and rules level, what are they allowing or enforcing that shouldn’t be allowed. Hill: Setting aside what we discussed with Apple and Spotify — because, to your point, I do think that Spotify has a pretty good case there — setting that aside, another thing that separates two of the companies we’ve talked about from the others is the issue of privacy. In the case of Facebook, in the case of Google and Android phones, and the tracking that goes on, I think that those two companies have to literally go up to Capitol Hill and answer tough questions in a way that those questions aren’t really being asked, nor do they necessarily need to be asked of Amazon or Apple because they don’t really have the social media stuff. Bush: Yeah. I think privacy is increasingly going to turn into a thorny topic. We see with GDPR in Europe how it helps consumers in some ways, but it also keeps the incumbents strong, and it makes it harder for competition, which is the exact opposite of what we’re talking about right now that politicians are trying to go after. I do think that we will have to approach that. The other side is, do governments really want to enforce privacy at the end of the day? That takes away their access to information, too. Technology is going to be agnostic with privacy. It’s not going to prioritize some groups over others, probably, like we’ve seen in China. I don’t think that’s the way it’s going to play out here. I do think it’s going to get thorny and much more political and very annoying. But I do think privacy is the end game. Companies like Facebook, they’re not going to be putting privacy on their ad business, but when it comes to the messaging and stuff like that, that’s going to increasingly be the norm. Hill: Our email address is marketfoolery@fool.com. Question from Ellis Laura. Ellis writes, “I wanted to get your thoughts on e-sports and possible investment idea. Similar to movies, video games are a hits-driven business and I don’t feel confident enough in only investing in a few video game publishers. Would you recommend buying an index such as ESPO or GAMR, or creating a gamer basket of stocks? Thanks for all the great advice.” ESPO and GAMR, these are ETFs built around video game companies. Just a quick look on Google Finance, and ESPO launched last fall. Basically flat. The GAMR ETF launched almost exactly three years ago today. That ETF, up about 67% over the last three years. I’m curious what you think about this. My sense is that you’re bullish on e-sports in general. Bush: Yeah. I have a couple of things to say about this. One, you talk about video games being a hit-driven business. I think that is true, but it’s actually increasingly less true. A lot of companies are finding ways to keep their top franchises generating recurring revenue for longer periods of time. You look at something like Call of Duty, it’s been around for 15 years. You look at things like sports franchises, like NBA2K or FIFA, those come out every year. So there are counterexamples to this being a hit-driven business. Hill: Oh, like Candy Crush. Like, King Digital comes out with Candy Crush, and that’s basically the reason to buy that company. Bush: Yeah, or, Take-Two right now with Red Dead Redemption 2. It made $700 million in its first weekend. But what was it doing for the three years before? Nothing. That was a hit and it drove that business. I don’t necessarily think that’s bad. Hits are great. Anyways, I do think that we’re moving a little further away from a hit-driven business, more to recurring revenues. Some franchises has been around for a long time, some games continue to do stuff every year. Mobile is even a different beast. I do think that you can do fine with an index or ETF. I looked at the ones that you threw out. ESPO is maybe the slightly more interesting one. It has a great mix of publishers from all around the world. It’s not just a U.S.-centric one. It’s a global one. It also has nonpublishers like Nvidia and AMD, which I have mixed opinions on. The other thing to be aware of is cost, but it doesn’t look terrible for this one. I think that’s OK. You can invest in this ETF and do fine, you’ll have exposure to the industry, which I think is going to do well. Bush: — or partner with J-Mo on something since he’s the basket king around here. I can work on that. I will kick that basket off today with a couple of things that I would right now put in it, and that would be Take-Two, which I just mentioned with Red Dead Redemption, and Tencent, which is the largest video game company in the world. Those would be the two stocks that I would seed the basket with. Maybe I’ll have to work on the rest. Hill: Is part of your picking those two the fact that they’re beaten down over the past year? They’re certainly cheaper than they were. Bush: They certainly are, but I think that goes for pretty much every video game company right now. [laughs] Take-Two to me stands out above Activision and EA in particular right now because they are breaking records, they’re laying a clear foundation for growth, and they’re operating with little drama. You can’t really say the same thing for Activision or EA right now. Hill: I was just going to say, the stories I read about Activision Blizzard and executives leaving that company and going to start their own businesses… say what you want about Take-Two Interactive’s performance over the past year, they don’t appear to have a talent problem. Bush: No. They’re doing everything right in my opinion. I do think the other video game companies will bounce back, too. But Take-Two doesn’t have as many difficulties to work through, even though they’ve been beaten down just as hard. Tencent, they’re the largest video game company in the world. They’re the largest video game company in China. I think that’s powerful. Also, if you look at what’s been going on in China over the past year with video games, the government put a freeze on new game approvals. That’s obviously something that’s going to go away over time. They’re poised to be the No. 1 beneficiary when that happens. Also, if any of these other companies want to bring their games to China, they’re probably going to partner with Tencent in order to do it. Tencent is very well positioned in video games, and they have a ton of other stuff going on, like WeChat and all the other investments that they’ve made. I feel very good about these two. They’re two very different businesses, but this is what I would seed my basket with. Hill: Didn’t Tencent spin off their music to a separate IPO? I thought they did that last year. Bush: No. One thing that people don’t realize is, one of the largest synergies that they have between the gaming business and their social media business is that they can advertise their games in social media. Also, I don’t think they’re looking to raise that much money because it is a good business, unlike some of these other companies that they spin off in order to raise money that’s separate from Tencent’s core balance sheet. So I doubt that’ll happen. It’s too core for them. 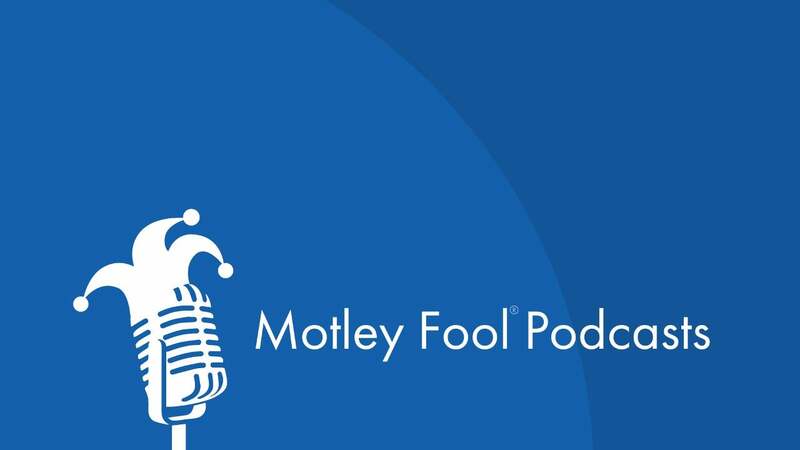 Hill: As always, people on the program may have interests in the stocks they talk about, and The Motley Fool may have formal recommendations for or against, so don’t buy or sell stocks based solely on what you hear. That’s going to do it for this edition of MarketFoolery! The show is mixed by Dan Boyd. I’m Chris Hill. Thanks for listening! We’ll see you tomorrow!